The analytics will help initiate crowd control measure to prevent disasters. 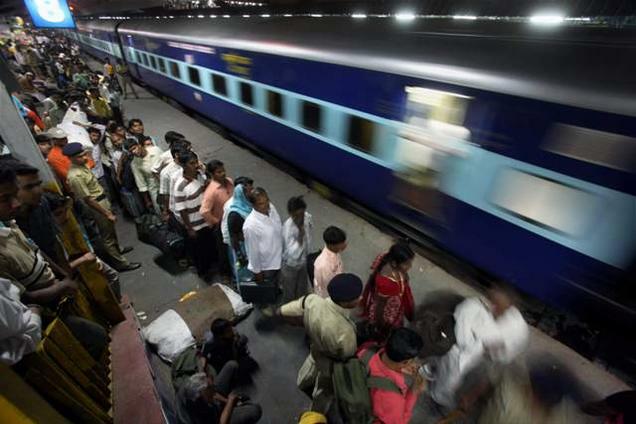 In a first, the Indian Railways has deployed ‘intelligent video analytics’ to assess crowd density at major railway stations and initiate crowd control measures when the number of passengers/visitors exceeds a prescribed limit. The technology incorporated in the integrated security system will give an automatic alert to the Railway Protection Force (RPF) and Government Railway Police (GRP) personnel to set in motion certain Standard Operating Procedures that include a temporary ban on the issue of platform tickets and closure of parking lots till normalcy is restored. “We have installed the facility in the surveillance system on a trial basis at Chennai Central and Egmore railway stations. Taking cue from the National Disaster Management Authority (NDMA) guidelines on crowd control, the railway has included crowd management in its revised Disaster Management Plan,” a senior railway official said on Saturday. Zonal railways have been told to analyse past crowd disasters and focus on crowd management strategies, risk analysis and preparedness, information management and dissemination, safety measures and emergency planning, transportation and traffic management. The inflow of passengers is usually high during long weekends and festive season. VuMajor railway stations are vulnerable to terror attacks in view of the large gathering of people, multiple entry/exit points and stoppage of trains at wayside stations where adequate security arrangements are not in place. Chennai was witness to twin blasts in the Bangalore-Guwahati Express soon after the train arrived on May 1, 2014. A woman passenger was killed in the incident. “Video analytics would help security agencies get timely alerts when large crowds build up in the station premises and help implement preventive protocols. Visuals stored on Closed Circuit Television (CCTV) network system would be of immense help in identifying miscreants and in ensuring effective legal action,” the official said.